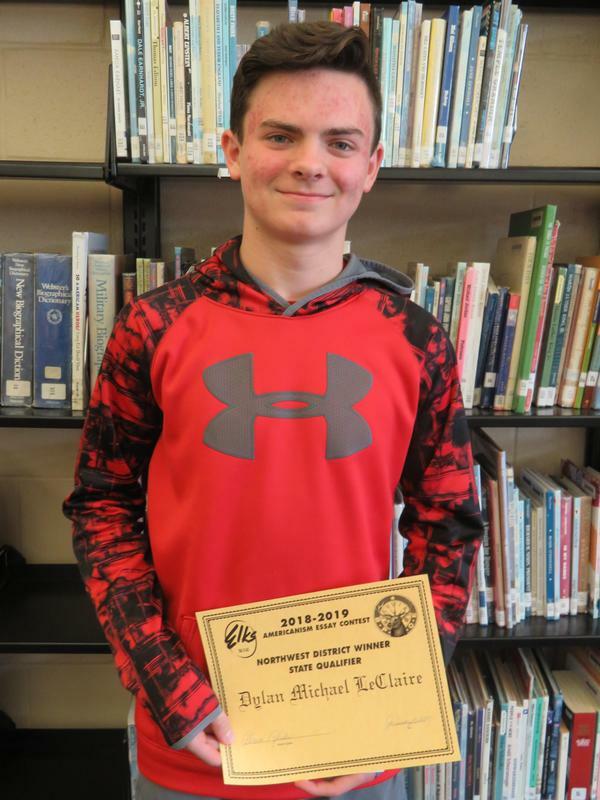 A Thornapple Kellogg Middle School student will have his essay entered in the National Elks Grand Lodge Americanism writing competition. In addition, two other TKMS students had their essays for the same contest win at the local and district levels and moved on to state. Dylan LeClaire's essay will be entered in the national competition after earning top marks in the local, district and state competition. The national winners will be named at the Elks Grand Lodge Session in St. Louis, Missouri in July. 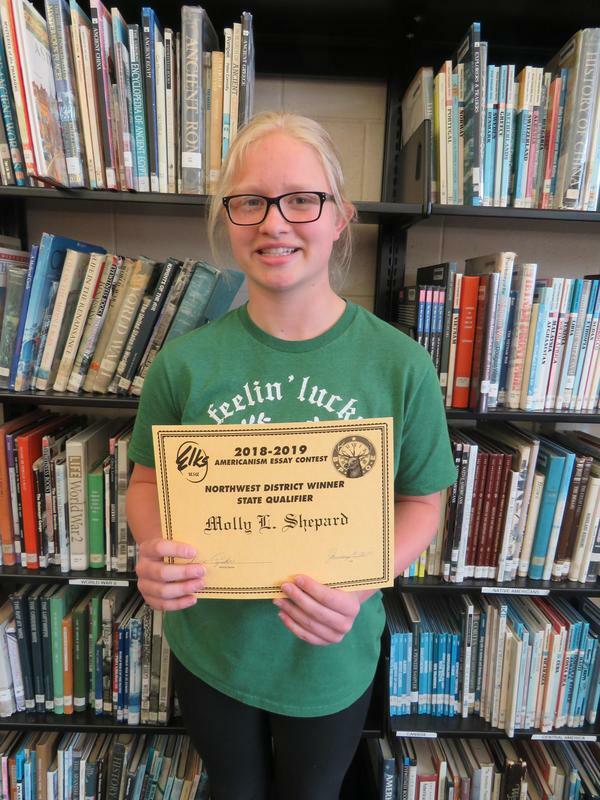 TKMS students Molly Shepard and Casey Lopez also earned honors with their essays at the local and district levels. Their essays also advanced to the state level competition. Alma Czinder, the Americanism essay chair for the Elks Lodge in Hastings, presented awards to the students this week. 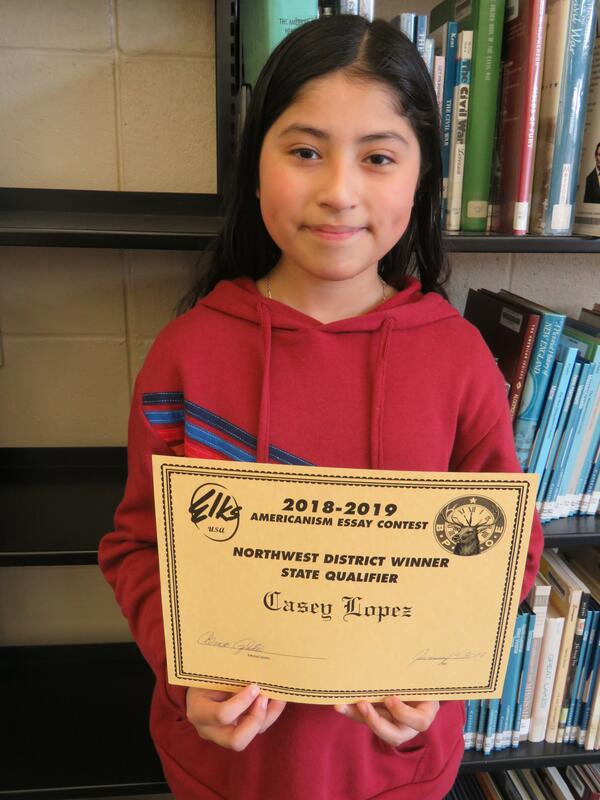 She said she is very impressed with all the essays received and is glad to see Thornapple Kellogg students recognized. The annual contest is open to students in fifth through eighth grades. Contestants were asked to write an essay of not more than 300 words with this year's theme of "What Makes You Proud of America." TK eighth-grade social studies teachers Rojean Sprague and Marc Lester invited students to compete in the essay contest. It was not a mandated assignment, but something students opted to do on their own. Sprague said about 40 students chose to write an essay for the contest. Czinder said she believes this is the first time a TK essay has won the state level. "We have strived to become a better country through the years. We will always have problems, but so will everybody else. People may disagree, but we will always strive for the best for Americans and others. That is why I am proud of America."